Today means a lot more to people who were aware of life in 1963, than those of us who were not. Those of us who were too young to remember or simply born after November 22, 1963 have shaped our memory of that day based on how we learned about it and from whom we learned it. I didn’t know who JFK was until 1983, during the twentieth anniversary of his death. It’s funny how children of the 1980s learned about life. The night John Lennon was murdered, I was six years old. It was the first time I noticed that people mourned. Candlelight vigils were on the news that week, and I thought that every murdered person got a candlelight vigil. Ringo Starr was in the 1981 film Caveman, which was inappropriate for seven-year-old, but that’s what we watched in the 80s. George Harrison was in the Traveling Willburys and that video for “I Got My Mind Set on You.” Paul McCartney did duets with Michael Jackson, and there was no knowledge of the Jackson 5 or the Beatles. I didn’t realize JFK and John F. Kennedy and Jack Kennedy were all the same person for years. In 1983, one of the networks kept playing, over and over and over again, a promo for a TV movie. 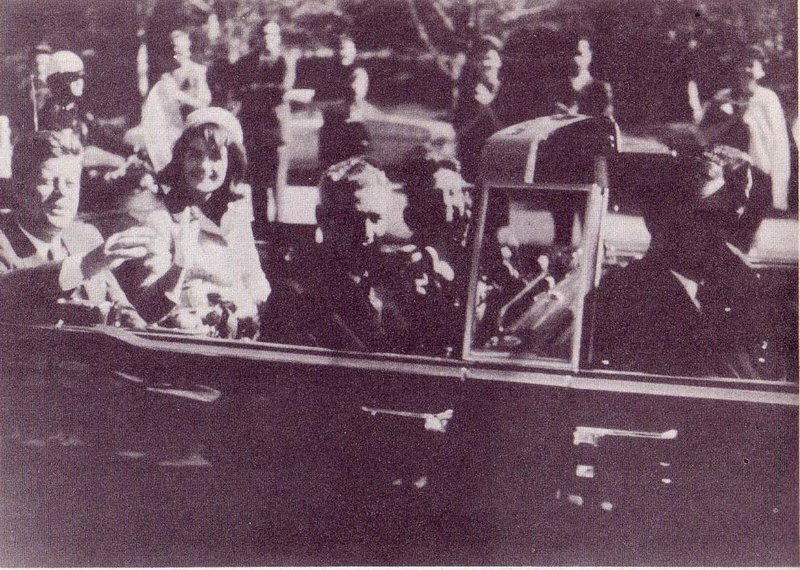 The promo showed the motorcade and Jackie in the car, the grassy knoll, and finally a voice over in a deep baritone, “Who. Killed. JFK?” My sister Rhonda was almost four and she started crying one day and said, “I didn’t kill him. I didn’t kill him.” We were too young to understand time and distance. Reagan was shot on our watch; we were so little that these two events, though twenty two years apart, seemed like an epidemic. People don’t think about how differently children perceive the world while they are at the dawn of it. While we had no knowledge that the Beatles ever existed or broke up before we were born, we knew about the death of JFK, and it became part of our history even though we didn’t live it in the moment. We relived it with the rest of the nation every time they remembered it. When I was old enough to learn about the assassination in school I asked my parents about where they were when JFK was shot. My mother was in elementary school. My dad was skipping a day of ninth grade and hanging out in a junk yard. My dad never finished ninth grade and spent a lot of his brief life in junk yards. I spent many a weekend in my childhood in junkyards with him, and those junkyards were full of old cars were driven in the 1960s. Junkyards make me think of JFK and Jackie Kennedy’s psuedo-Chanel suit. Odd that my mind connects a pill-box hat to a pile of hub caps, but that’s how we form memories. I was born months after the tenth anniversary of JFK’s death. Every ten years we relive the Kennedy Assassination. In between, Kennedys have died and we relived it again. Earlier today I looked at the NPR Facebook page and they were doing this thing Tweeting about the JFK Assassination in real-time as if it was happening today. I didn’t like the idea, but I was curious about the people sharing it, so I hit the link to show shares, and there was the same picture over and over and over again. LBJ, Jackie, and JFK at a table a few hours before his death. It was surreal. It was a mini representation of how these images have been seared into our collective memory year, after year, after year. Here we are again. Now, I am almost forty, and the fact that it has been fifty years, and I remember so many iterations of this man dying over, and over, and over again makes me feel, not old, but integrated with the history of modern America. Me and my memories are one fiber in the fabric of our nation. I, like every person, is a filament that joins lives and possibly splits to create them. But today the filaments feel frayed. They don’t understand how bullets fired fifty years ago are still rattling the nerves of a nation that lost its innocence. They don’t understand because we’ve all become so disintegrated with the human experience that we lose more empathy, year after year. It’s almost as if the collective memory the JFK Assassination, traumatic as it was, is akin to recalling our collective conscience. I’m worried for those who can’t feel that, who’ve lost their inheritance of an American conscience either to the innocence of youth or to the bitterness of age. It shouldn’t require the loss of life to regain it. Maybe that’s why NPR Tweeted it today – to reinstate a collective memory that is dying with the humans who held it, people like my father. I wonder if it worked. I hope it worked. Even though I don’t like it, I’m starting to see it wasn’t for me. Compassion is a powerful force, and I hope we can rebuild our collective empathy without more trauma. This poem I wrote this poem I after a conversation I had with my grandmother in 1999 demonstrates the power of empathy. It’s important to understand that my grandma was a Rush-Limbaugh-lovin’-Bill-O’Reilly-quotin’-Fox-News-target-market-conservative to the nth degree, and I am a registered independent. I never asked her where she was during the assassination, but what she told me in this poem showed the impact it had on her as a daughter who lost both of her parents when she was a child and as mother of a little boy who watched the burial of his father in the autumn when JFK was planning his presidential campaign. I’m the equal opportunity cynic. but she surprises me with tears. saluting a horse drawn wagon. Maybe there’s hope for us both.